The Ultimate plan was to lock the XO Local Oscillators of all my SHF/Microwave transverters (23, 13, 3cm) to a 10MHz Frequency Standard. 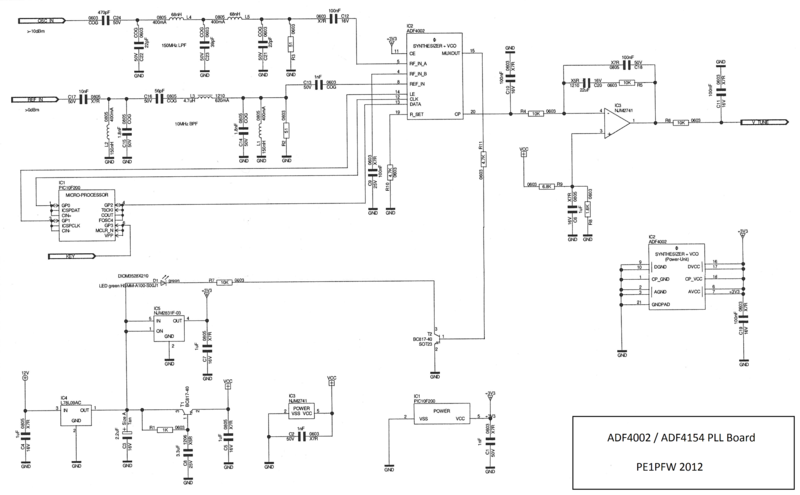 An ADF4002 PLL chip from Analog Devices was choosen for this task, as it seems the simplest way to lock Voltage Controlled Xtal Oscillators (VCXOs) up to 400MHz to a Reference Clock (10MHz frequency standard). (Or to replace existing (legacy) local oscillator - multiplier chains, with a contemporary PLL VCO design, clocked by the 10MHz Frequency Standards). * this idea has been abandoned, since this method produces higher phase-noise than the method of locking a Xtal Oscillator. Icom IC-706MkIIG. I recently picked up this rig for use as a more (trans)portable rig combined with my microwave transverters. This rig has a well-known flaw and that is the instability and accuracy of its central XO reference oscillator, mainly because of heat and temperature variation in the rig. This shows especially in digimodes like JT65 etc. One option to overcome this instability flaw is buying the high stability OCXO option (at € 125) from Icom. But with GPSDO and Rubidium 10MHz clock sources already at hand, for me it seemed a better option to go that route. I quickly prototyped a simple and straightforward 10MHz-to-30MHz multiplier (+5dBm out), connected it to my Rubidium 10MHz reference clock and this immediately worked. The 10-to-30MHz multiplier prototype will need some further improvement, as the suppression of unwanted harmonics is not very good (-20dBc). DB6NT 23cm transverter (Generation 1 or 2): The standard 96MHz Xtal oscillator is not very stable with temperature variations (my transverter is mounted in my antenna tower). 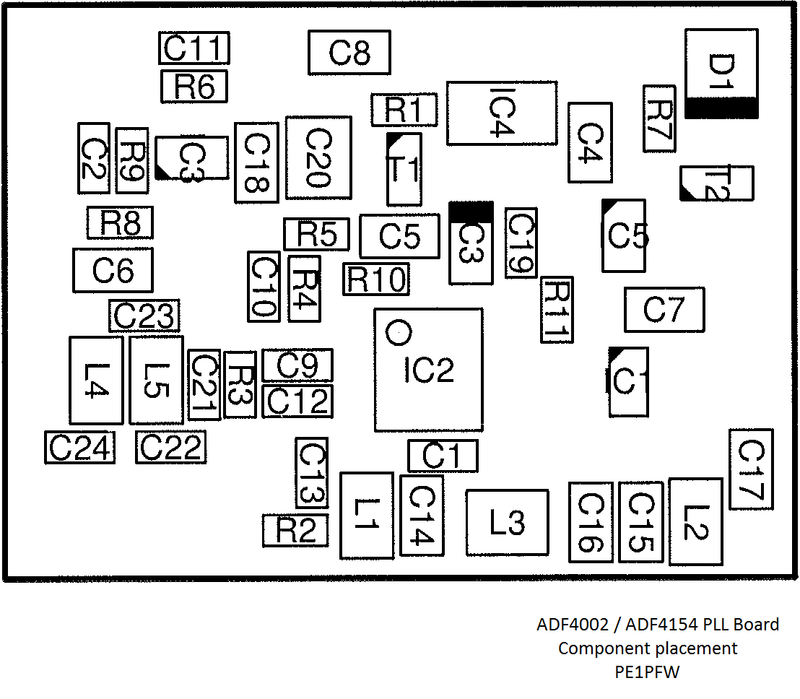 The plan to lock the LO to 10MHz Rubidium reference or OCXO was executed by july 2012. My friend Bart PE1PFW / DL1ARE has designed a small PCB with AD4002 PLL chip and filtering circuits, which drives the 96MHz XO/LO, which for this purpose had to be modified to a VCXO (Voltage Controlled Xtal Oscillator). 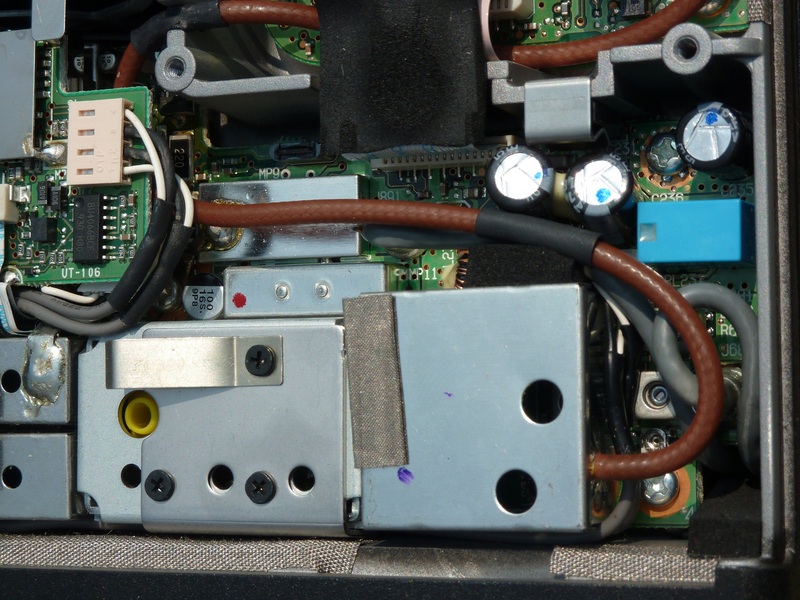 The PLL PCB hosts a small microcontroller PIC10F20x in a SOT23 case, which initialises the registers of the PLL chip upon powerup. The (MPASM) sourcecode for the vcxo PIC firmware is available on request (see here for my Contact info). The PLL initialisation parameters for many often-used amateur radio transverter XO frequencies are already calculated and included in the sourcecode. (Note: All PCB images are Hi-Res, just view the images in a separate window or save them to view in external image viewer). This modification is generic, it works with most VHF XOs (with some slight variations in capacitor values). The VCXO Mod requires just a varicap diode, a resistor and 3 ceramic capacitors (all in SMD 0805 size). 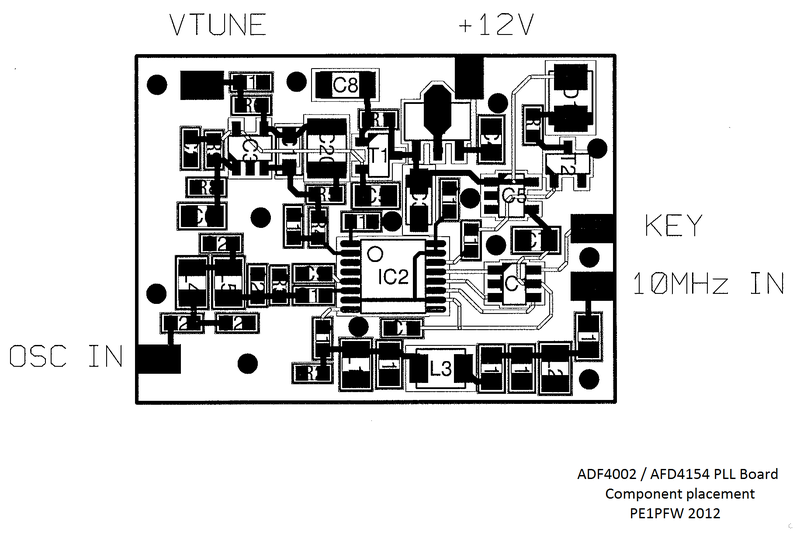 The small PLL pcb with ADF4002 is mounted above the transverter pcb and connections are made to the Tune and PLL input. An additional SMA socket to feed the 10MHz reference clock was added. 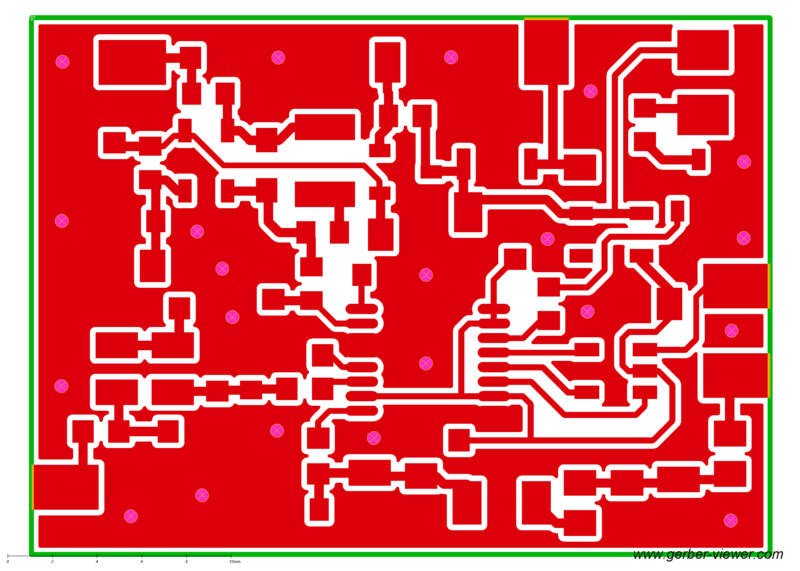 The picture below shows a "milled" prototype version of the PLL PCB mounted. 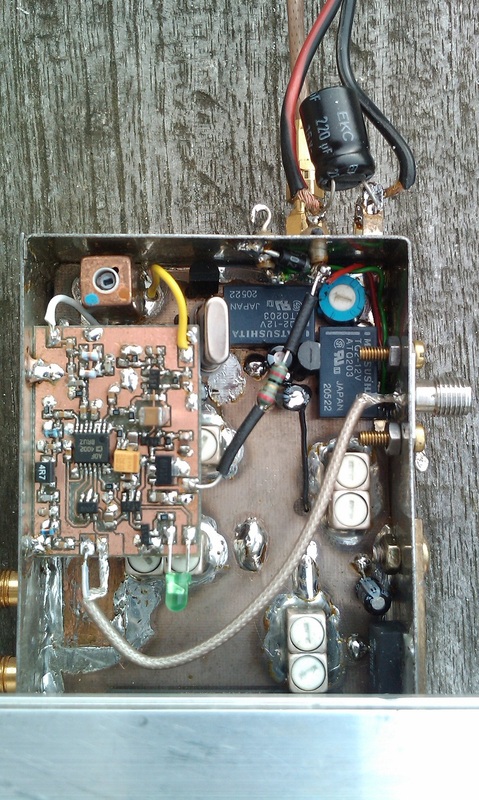 DB6NT 10GHz transverter (era 90's design MkI). This transverter has a separate 106,5MHz OCXO from DF9LN, but by current standards the accuracy and stability can be much further improved. So the plan to use the above method of locking the original XO in the 2556MHz LO/multiplier module and discard the external DF9LN OCXO module was executed by end july 2012. 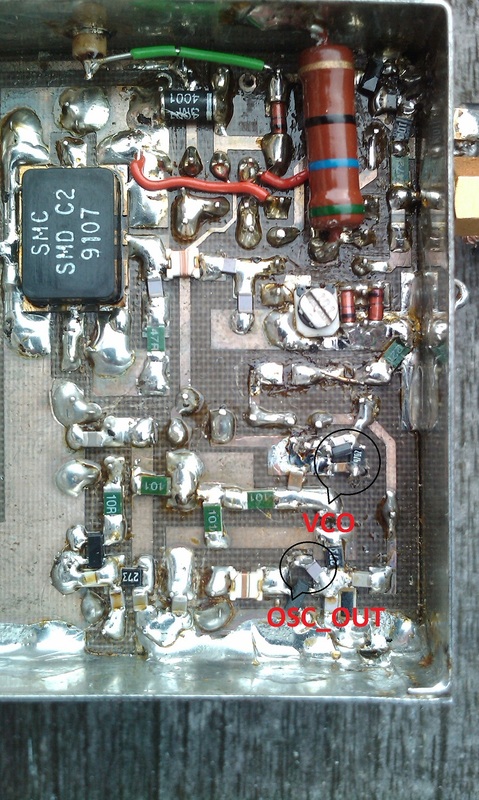 The same modification as shown above for the 23cm transverter LO was also applied to the DF9LN 96MHz-2556MHz Local Oscillator/multiplier module. 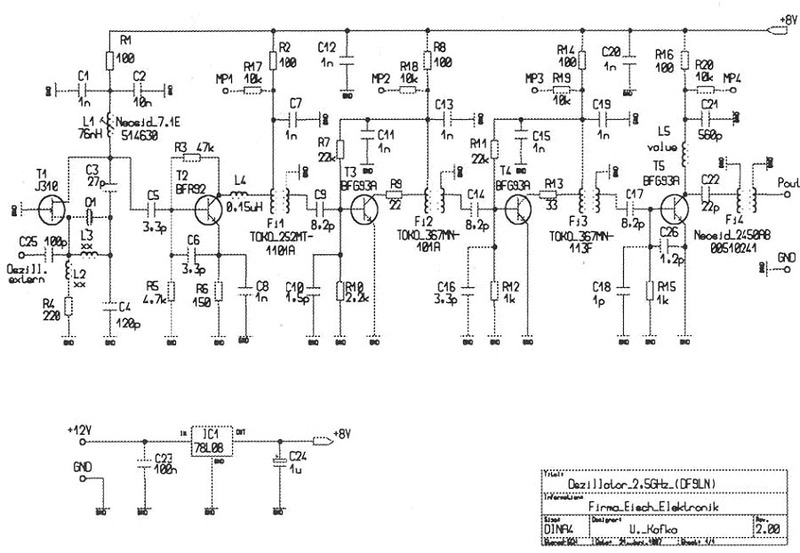 Yet, to obtain a reliable oscillator startup under all possible values of Vtune (from the PLL board), the values of C2 and C4 have to be changed to 22pF and 100pF (probably 82pF for C4 would be even better). 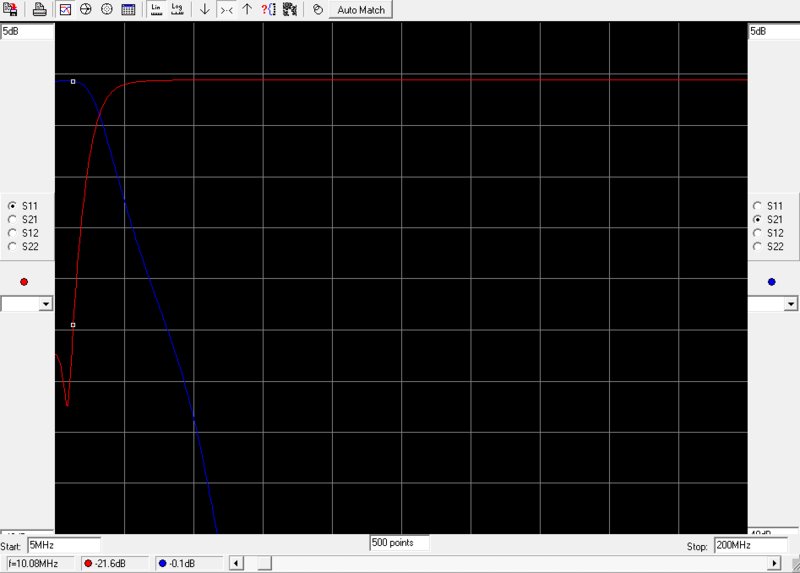 This is probably due to the small tuning range of L1 which has a copper tuning screw/core. 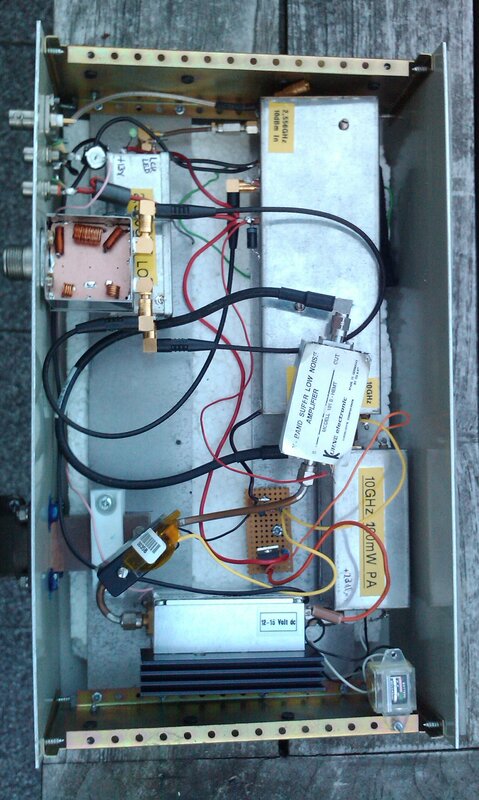 To feed the 10MHz reference signal into the transverter boxes, a diplexer (combination of a 20MHz low-pass and a 120MHz high pass filter with common mix port), designed by Bart PE1PFW with RFsim99, has been built in the 23cm, 13cm and 10GHz transverter boxes. This way, the 10MHz reference signal can be combined with the 144MHz IF signal over the same coax. 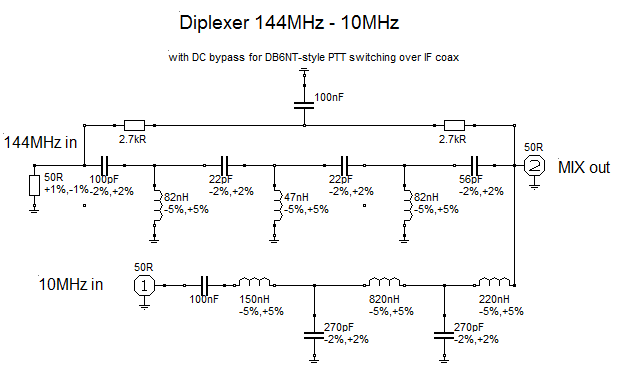 To facilitate DB6NT-style PTT keying over the same IF-coax feed, the diplexer provides a DC bypass between the Mix and the 144MHz ports. 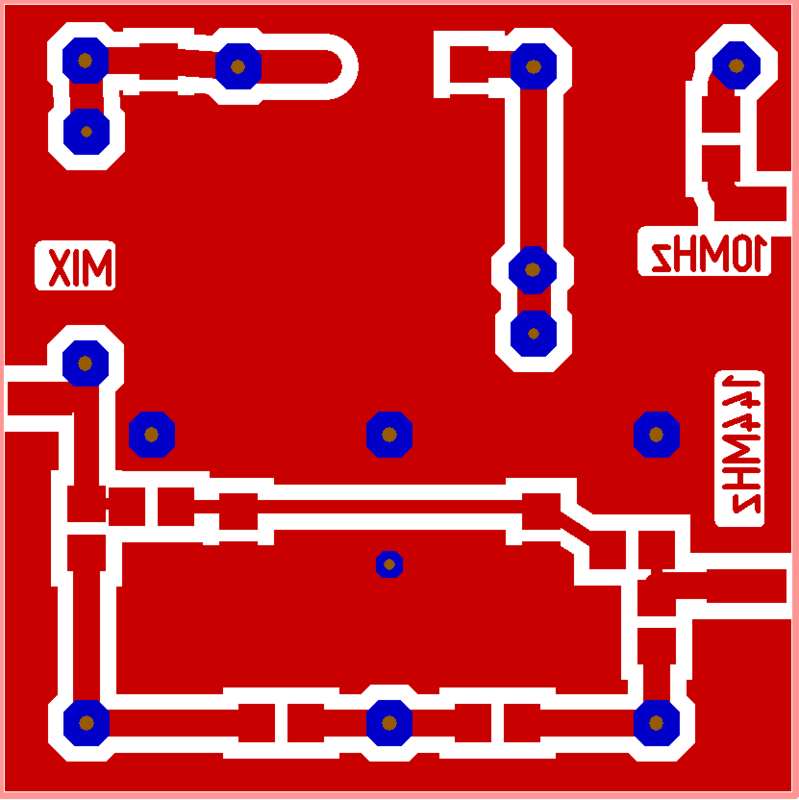 PCB artwork for 144-10MHz diplexer, designed for SMD 0805 / 0603 R's and C's. Coils are wound and placed on copper side (through-hole). The board fits in a standard Schubert tinplate box 37x37x30mm. In the shack near the 144MHz-IF transceiver, a similar diplexer is used to insert both 10MHz and 144MHz into the same coax feed to the transverters. The diplexer has a low insertion loss (< 0,5dB) for both 10MHz and 144MHz paths and a high isolation (>80dB) for the opposite frequencies on both ports. 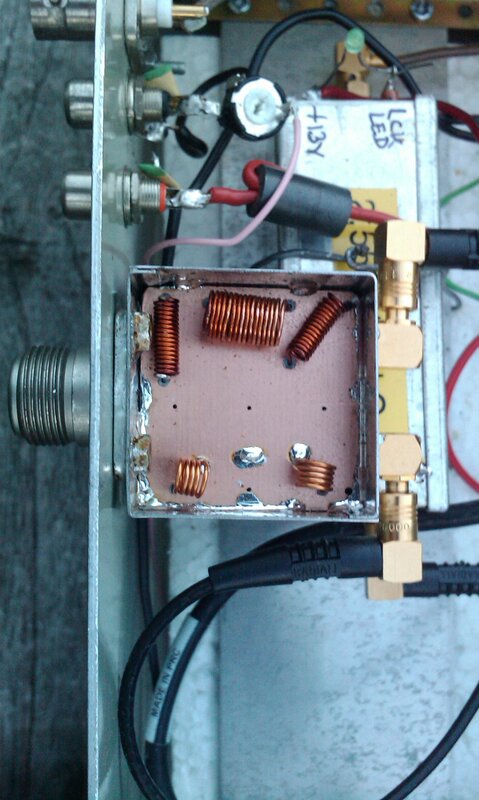 The pictures below show the finished 10GHz transverter and the diplexer built into it. Diplexer with the lid taken off the tinplate box for the photograph. Small Beacon transmitters for 13 and 23cm (and 10GHz if multiplied x8) PLL locked to a 10MHz Reference. The Information about this subject is moved to a separate page. A 10GHz + 24GHz Beacon Based on the Small Beacon transmitter PLL-VCO module. The personal beacon PE9GHZ/B is now on air at 10368.815 MHz and 24048.815 MHz!